Urinary incontinence (UI) has long been recognized as a prevalent and morbid, but treatable problem for women of all ages. Despite this, only a minority of those affected seek care and many of those do not receive effective therapy. It is imperative that primary care providers work with urologists and gynecologists to identify women with UI and provide efficient evaluation and appropriate treatment. This chapter provides an overview of the epidemiology and risk factors for UI. A practical approach to evaluation is offered with a goal of producing a working diagnosis of stress, urge, or mixed incontinence. With the diagnosis and a knowledge of the patient’s goals the clinician can initiate therapy in the majority of cases. In the treatment section there is an emphasis on evidence-based, nonsurgical, non-pharmacologic therapy although these modalities are fully reviewed. The indications for referral, types of testing provided by incontinence specialists, and newer advanced treatment options such as neuromodulation and botulinum toxin bladder injections are also presented. Cost of illness summaries for selected conditions. RTI International. January 2006. http://www.rti.org/files/COI_Summaries.pdf. Accessed 6 Mar 2012. Published by the RCOG Press at the Royal College of Obstetricians and Gynaecologists, 27 Sussex Place, Regent’s Park, London NW1 4RG. 2006. http://www.nice.org.uk/nicemedia/live/10996/30282/30282.pdf. Accessed 6 Mar 2012. American College of Obstetricians and Gynecologists (ACOG). Urinary incontinence in women. Washington; 13 pp. (ACOG practice bulletin no. 63). June 2005. http://www.guidelines.gov/content.aspx?id=10931. Accessed 6 Mar 2012. Guideline for the Surgical Management of Female Stress Urinary Incontinence: Update, American Urological Association Guidelines Department, Linthicum. 2009. http://www.auanet.org/content/­clinical-practice-guidelines/clinical-guidelines.cfm?sub=stress2009. Accessed 6 Mar 2012. American College of Surgeons PRQI flow sheet for Urinary Incontinence. 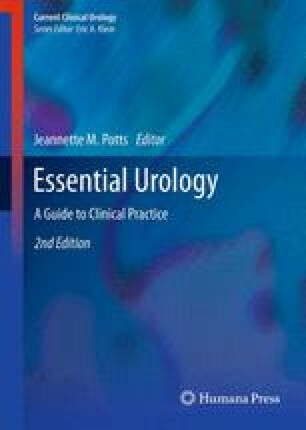 http://www.facs.org/ahp/pqri/pdfs/urinary-incontinence.pdf. Accessed 6 Mar 2012. American Urologic Association Medicare PRQI Incontinence reporting tool at http://www.auanet.org/content/legislative-and-regulatory/payment-and-reimbursement/pqri-toolkit/medquacode.pdf. Accessed 6 Mar 2012.